Macmillan provides practical, medical and financial support for families and promotes and campaigns for better cancer care. 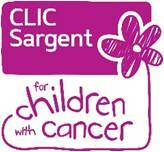 CLIC Sargent is a UK cancer charity for children and young people (up to the age of 25 years), and their families. They provide clinical, practical, financial and emotional support and aims to help the whole family deal with the impact of the disease. CAF bring families together so they can support each other, although CAF are not a Histiocytosis specific advice service, they do provide general information, advice and support and they campaign to improve family circumstances. If there is not a Histio specific group near you, please access their Personal Action Network (PAN) support groups they have 1500 groups on their database with 200 shown on their map emap and 600 on their network. 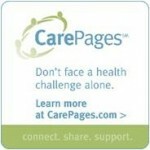 Carepages websites are free patient blogs that connect family and friends during a health challenge. Caringbridge provides free websites that connect family and friends during a serious health event. You can share health updates, and receive messages of support. Can advise on employment issues. The therapeutic support and information services we offer can help individuals and their families come to terms with and manage the challenges of a serious illness. Our vision is a future where young people’s lives don’t stop because they have cancer. We make sure they’re treated as young people first, cancer patients second and everything we do aims to improve their quality of life and chances of survival. Sibs is the UK charity representing the needs of siblings of disabled people. Siblings have a lifelong need for information, they often experience social and emotional isolation, and have to cope with difficult situations. Website about children and parenting offering support and advice on caring for seriously ill children. Look at Tough Topics in the Parenting section. British Association for Counselling and Psychotherapy can help to find a private therapist in your area. Counselling, support and information for all relationships.